The Group Cycle Belt Drive + Wireless exercise bike of Technogym Fitness is the upgraded version of Group Cycle Belt Drive. All its features and specifications are same, except the wireless console. This exercise bike too offers the feel of a outdoor road cycling. The high standard design of this exercise bike offers a comfortable as well as safe cardiovascular workout. Its handlebar can be adjusted according to the requirement of different users. 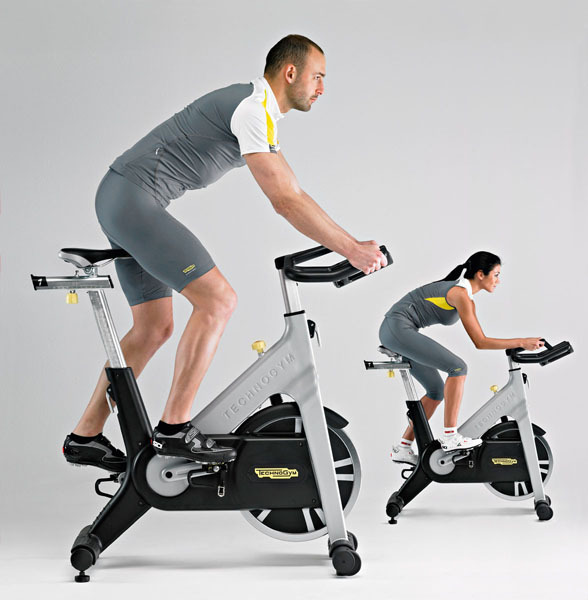 The latest cost of Technogym Group Cycle Belt Drive + Wireless Exercise Bike will be updated soon. *Note: Most of the sites, stores or shopping portals listed above sell Technogym Group Cycle Belt Drive + Wireless Exercise Bike with discounts and other exciting offers. There is a possibility that the some of above websites are not selling Technogym Group Cycle Belt Drive + Wireless Exercise Bike now. Toughtrain.com is not liable for such cases or instances. Also we do not recommend any seller for Technogym Group Cycle Belt Drive + Wireless Exercise Bike and a buyer should buy from where he/she gets best deal with quality of products, service and on time delivery (shipment).